A new documentary from executive producer Ken Burns and director Lynn Novick, College Behind Bars tells the stories of BPI students. Airing on PBS, fall 2019. The Bard Prison Initiative (BPI) works to redefine the availability, affordability, and expectations typically associated with higher education in America. Since 2001, BPI has created groundbreaking opportunities for college within America’s prison systems. These programs transform the negative impacts of criminal punishment and create radical inroads of access and opportunity to higher learning. 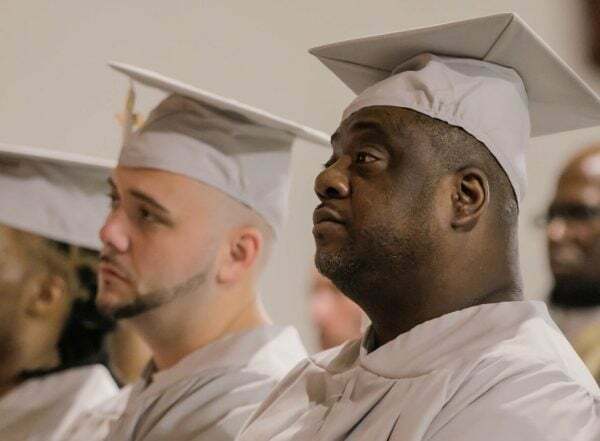 Today, BPI enrolls over 300 incarcerated students full-time in programs that culminate in degrees from Bard College; it offers extensive support for its alumni in and around New York City; and, it has developed a nationwide network of leading universities and colleges to catalyze a transformation in the relationship between education and criminal justice in the United States. BPI’s newest initiative, the Bard Microcollege, expands yet further the scope and impact of this work, delivering high-quality liberal arts education to isolated communities outside of prison through partnerships with community-based institutions. The BPI student body mirrors that of the prison system at large: students come from communities with the fewest quality educational opportunities that are most impacted by crises of crime and incarceration. The majority were first arrested as children. Few completed high school; most earned their GED in prison. Once enrolled, BPI students engage with the college full-time, embarking on a course of study that is ambitious and matches the breadth and intensity of any undergraduate learning experience. After returning home, BPI alumni become independent taxpaying citizens. They work in business, the arts, and media; they attend graduate school; they have careers in the human services. Virtually none return to prison. They contribute to their communities in all the ways one might expect of any college graduates. Learn more about three BPI students and their unique journeys through college and reentry. This feature is best viewed on larger screens, or you may access a smaller version using the link below. Please turn your device to horizontal orientation. Up for DebateThe BPI debate team is now 6-2! Both associate and bachelor’s degrees are offered through Holy Cross College, while most faculty and extensive in-kind support come from Notre Dame. Funding is public and private, recidivism is low, and graduates go on to employment and further higher education across Indiana. 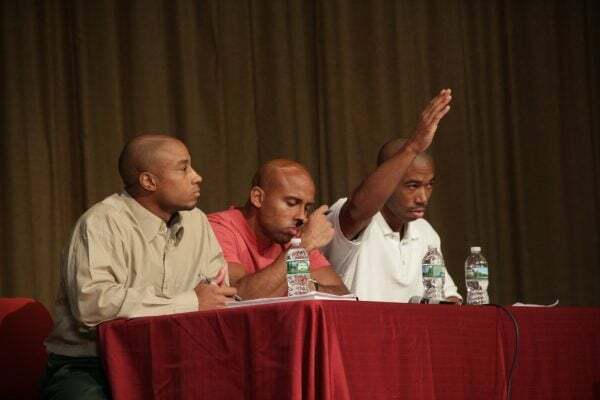 In early December, BPI hosted Morehouse College for the eighth intercollegiate debate at Eastern Correctional Facility. As an underdog facing one of the top teams in the country, BPI’s team won in a close decision. Resolved: Race-based affirmative action in college and university admissions should be eliminated. BPI defended the proposition and Morehouse opposed. This season, Morehouse is having a banner year and is among the top rated teams nationwide. 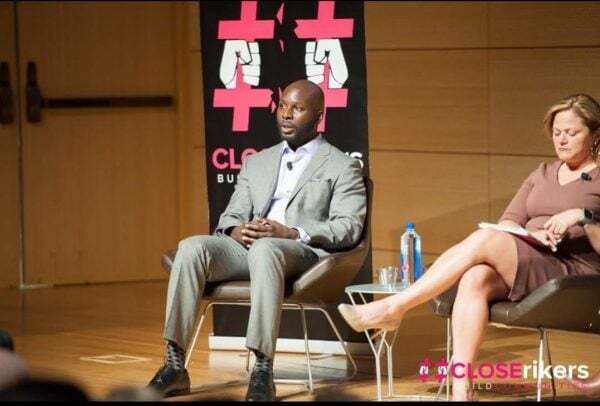 Darren is a distinguished member of JustLeadership USA (JLUSA) and actively engaged in the #CloseRikers campaign. Among other awards, JLUSA honored Darren with its Emerging Leadership Award and featured him as a speaker alongside Glenn Martin, John Legend, and the Speaker of the NYC Council, Melissa Mark Viverito. Darren is also the recipient of a prestigious fellowship from the New York Civil Liberties Union’s Community Organizing Institute. First enrolling with BPI in 2006, Darren received his Associate in Arts degree in 2010. Released in 2012, Darren graduated with a bachelor’s degree in Social Studies from Bard College in 2013. This fall, he enrolled in the Silberman School of Social Work at Hunter College to pursue a master’s degree in the field.